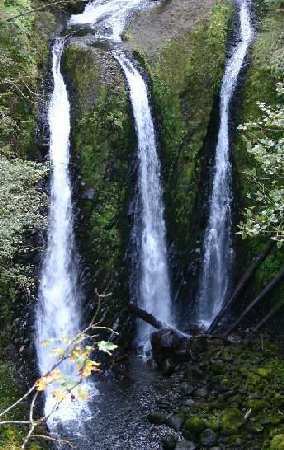 Triple Falls is east of Portland. Hiking distance is 1.8 miles - UP! show Oneonta Trail going right and left. Turn left and walk up the trail. (to Oneonta Falls). To get to Triple Falls continue upwards on Trail #424.
trail off to the left of Trail #424 will lead to an overlook to the falls.